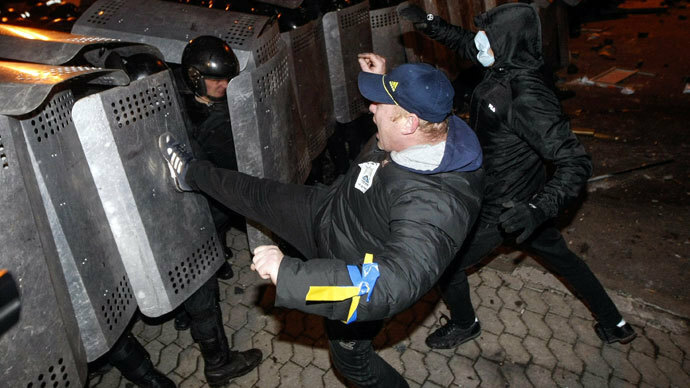 New evidence of police brutality has surfaced in Ukraine, where thousands of people are continuing to stage anti-government protests. Opposition MPs are calling for the riot police unit involved in the crackdown on protesters to be disbanded. A shocking new video, published Wednesday by a local TV channel, shows dozens of police clad in riot gear running toward and casually clubbing and kicking bystanders in their way. The footage was taken on Kiev’s Bankovaya street on Sunday last week, according to the channel’s report. Earlier that day the street was the scene for a violent confrontation between security troops and angry demonstrators, who used flares, chains and a tractor to push their way toward the building of the presidential administration. Some of the clashes were provoked by protesters. The clashes last week started with the brutal eviction of a protest camp Friday night, which left at least 35 people injured. The spiral of violence invigorated the protests and sparked a parliamentary crisis, as the opposition factions unsuccessfully tried to dismiss the government. 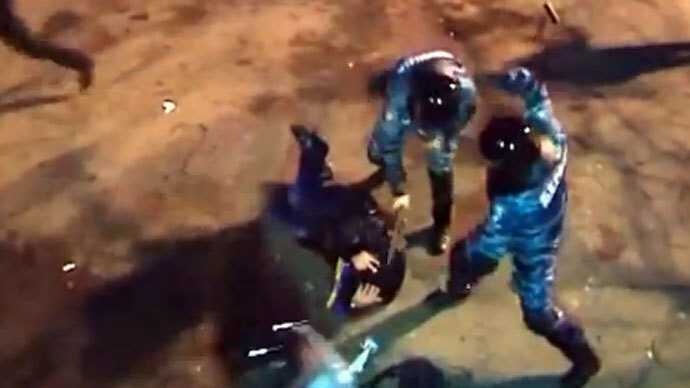 The opposition anger over police brutality was materialized on Thursday in a bill, calling for the Berkut riot police unit involved in the camp crackdown to be disbanded. The bill would also demote the commanding officers of the unit. 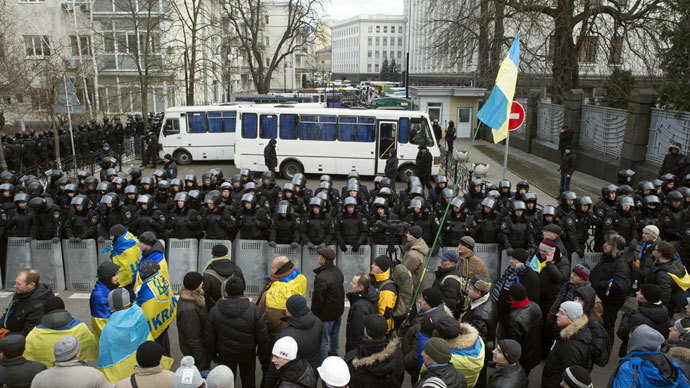 Earlier, Kiev’s police chief submitted his resignation following criticism from senior Ukrainian officials including President Viktor Yanukovych of the camp eviction. An investigation into alleged cases of both police brutality and protester rioting is currently under way.